The full text publication in the WHO Bulletin can be found here. In recent years, increasing attention has been given to engaging families and communities in order to prevent maternal and newborn mortality (1). We know that men often play an important role in deciding when and where women and children should seek health care (2). However, widespread studies show that male partners and fathers don’t usually accompany women and children when they visit health facilities (3, 4, 5). This means they miss out on a crucial opportunity to talk to health workers and receive up-to-date information on how to look after own health and that of their families. 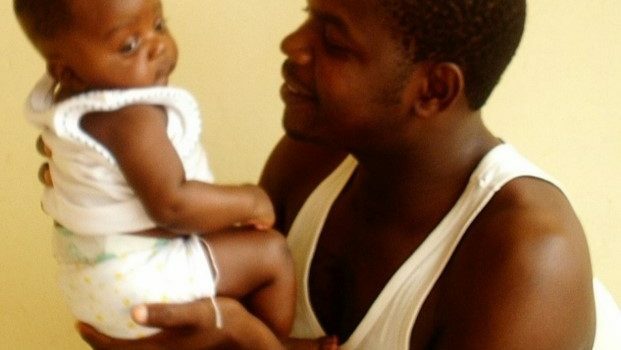 The World Health Organization has recommended encouraging men to become more involved with reproductive health services, although little is known about what impact male involvement has on care-seeking and recommended practices after childbirth (6, 7). Burkina Faso is a country with high burden of maternal and infant ill-health (8). In the postnatal period, many women and babies do not attend the recommended number of postnatal care visits (9). Many babies are given water and herbal tea from the first weeks of life rather than being exclusively breastfed, and many women have an unmet need for family planning (10, 11, 12). Male partners are usually the ultimate decision-makers on care-seeking, but are rarely seen in maternity wards and clinics (12, 13). What was the study aiming to discover? Our hypothesis was that if pregnant women invited their male partners to participate in their care, we would see an increase in postnatal care attendance. We also hypothesised that there would be an increase in the proportion of infants who are exclusively breastfed during the first six months of life and in the use of postpartum family planning by couples who want to prevent closely-spaced pregnancies. The study was conducted between 2014 and 2016 in Bobo-Dioulasso, the second largest city in Burkina Faso. Most women in Bobo-Dioulasso attend antenatal care at least once and give birth in health facilities. iii) Another, similar couple-counselling session after birth, prior to discharge from the health facility. The sessions, each an hour long, were conducted by midwives working in five primary health care centres. They received specific training on how to work with men/couples and on how to ensure that women retained control at all times over whether to involve their partners. We tested the intervention using a randomised controlled trial. Pregnant women attending routine antenatal care were invited to participate. 583 were randomly assigned to the intervention arm and 561 to the control arm, meaning they and their partners would not be invited. Women in the intervention group passed on an invitation letter to their male partners, and health workers re-iterated the invitation by phone. We interviewed all women at the time of enrolment into the study and again at 3 and 8 months after they gave birth. 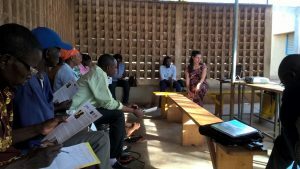 In the intervention arm, a good level of participation was achieved: three-quarters of male partners attended at least two sessions. We found that the intervention increased women’s attendance at at least two postnatal care consultations (RD=11.7%, 95% C.I.=6.0-17.5, p<0.001), exclusive breastfeeding three months after birth (RD=11.4%, 95% C.I.=5.8-17.2, p<0.001), and the use of effective modern contraceptive methods eight months after birth (RD=6.4%, 95% C.I.=0.5-12.3, p=0.033). In particular, the use of long-acting reversible methods, especially contraceptive implants, was higher in the intervention group. We also found that the intervention increased the level of communication and shared decision-making within couples on care-seeking and other issues related to reproductive health. How are these results useful? This study, one of the most rigorous in its field, showed that involving men as supportive partners in maternity care can be a useful strategy to encourage families to engage with health services and to follow recommendations on healthy practices, such as exclusive breastfeeding. Our intervention could be replicated in similar contexts. However, policies encouraging male partner involvement have sometimes been misinterpreted as an obligation to involve them (14, 15, 16). To prevent this, health workers need to be trained not to pressurise women to involve men unless they wish to. Some male involvement interventions have reinforced existing gender inequalities. During our intervention sessions, we encouraged participants to reflect critically on patriarchal norms. Components designed to promote equitable gender relations must form an integral part of all male involvement programmes. 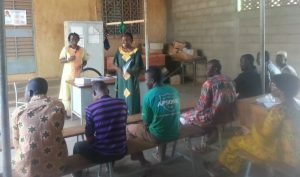 Marina would like to thank PhD supervisor Prof Veronique Filippi, study co-authors Dr Rasmané Ganaba, Prof. Simon Cousens, Dr Clementine Rossier, Dr Sophie Sarrassat, Seydou Drabo and Djeneba Ouedraogo, as well as all research participants and staff at AfricSanté and the health centres.